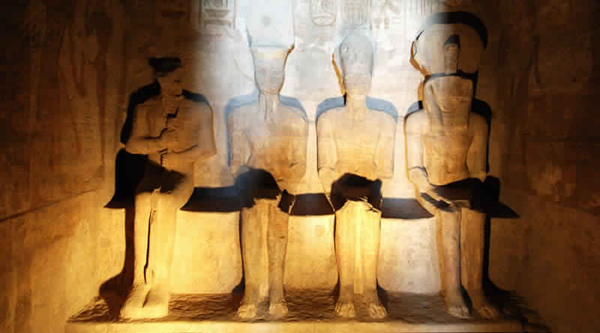 This great event takes place only twice a year: on the day of Ramses the 2nd birthday and on the day of his coronation. The Great Temple of Ramses the 2nd at Abu Simble was built in the way that its internal chamber – the sanctuary - lights up twice a year. First time on the anniversary of Ramses the 2nd ascension to the throne – February 22, and second time on his birthday – October 22. 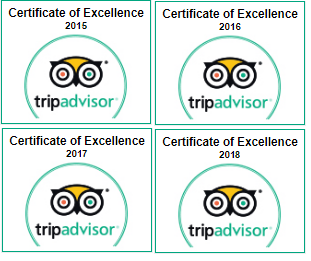 We offer you a unique opportunity to visit the temple on these dates. Do not miss the chance and join our trip on October 22, 2017 to Abu Simble from Sharm el Sheikh, Hurghada or Cairo and participate in this great event. Different programs can be arranged. The sanctuary was constructed with great architectural mastery and skill. On February 21, the Pharaoh’s birthday and October 21, the anniversary of the Pharaoh’s coronation, the first beams of sunlight penetrated the inside of the temple and ran along its length (54 meters), finally reaching the sanctuary where it shone on the face of the king. During the rescue operation of Abu Simble, they tried to keep this characteristic intact, but when the temple was raised 64 meters it delayed the phenomenon by one day. 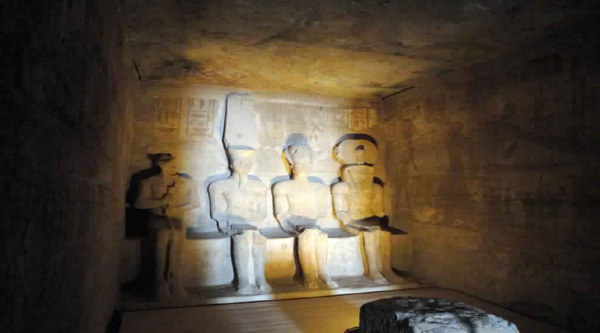 The sun now illuminates the face of Ramesses II on February 22 and October 22. On every other day of year the rays of the rising sun also illuminate the other gods, with the exception of the god Ptah, who is believed to be the god of darkness.